GPSC Dy. Section Officer / Dy. Mamlatdar (Advt No. 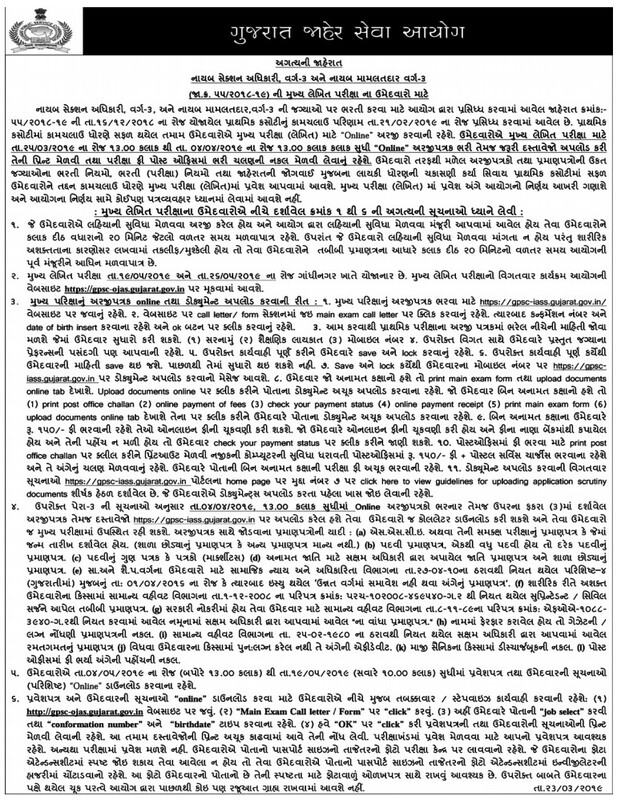 55/2018-19) Main Exam Application Form 2018-19 ~ :: GujaratGk :: Official Site :: Gujarat's No. 1 Educational Website..
How to Apply : Intereted Candidates many apply Online through official website.